Putting the brand on the line. 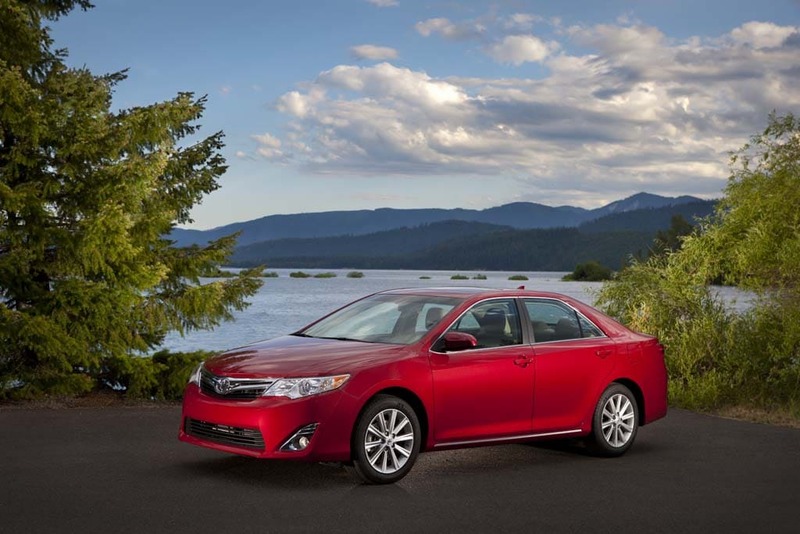 Toyota bills the 2012 Camry as a revolutionary redesign for the best-selling midsize sedan. Few cars more clearly define a brand than Toyota’s midsize Camry sedan, a nameplate that has led the U.S. passenger car sales charts for 13 of the last 14 years. And, arguably, no product is more important to Toyota as the maker struggles to emerge from a series of setbacks – including 2010’s safety recalls and this year’s earthquake-led production shortages. Bringing a new car to market is a long and involved process, so it’s serendipitous that what Toyota is billing as “the reinvention of the Camry” will be ready to roll into showrooms for an October launch — just as the maker gets production at the last of its plants back up to speed. 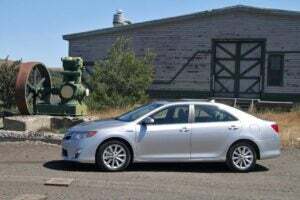 The 25-year-old factory in Georgetown, Kentucky is already starting to build the first of the 2012 Toyota Camrys so we jumped at the chance to take the sedan for a spin through the challenging mountainous terrain in central Washington, a few hours east of Seattle. 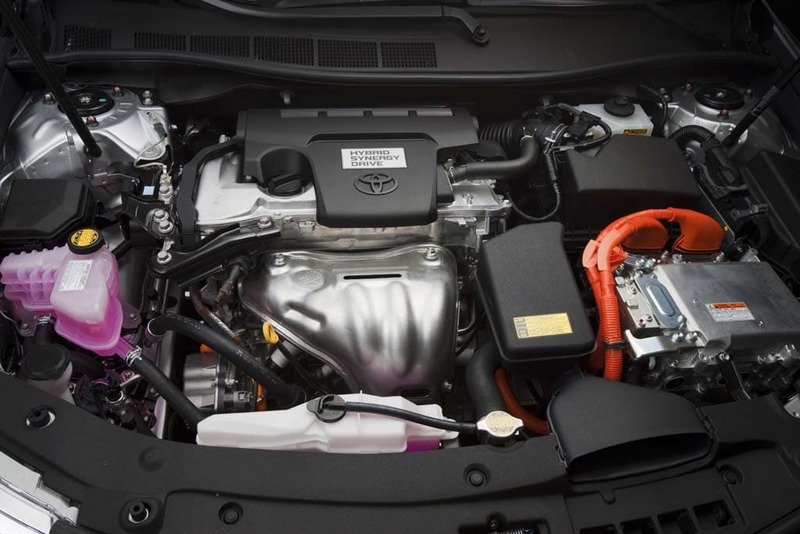 Toyota is offering three different powertrain packages for the 2012 Camry. At no time has it been more important to recreate the Camry, the market being flooded with an assortment of new alternatives, such as the Kia Optima and Hyundai Sonata, with significant redesigns in the pipeline from Chevrolet, which will soon update its Malibu, and Honda, which is readying an all-new Accord. 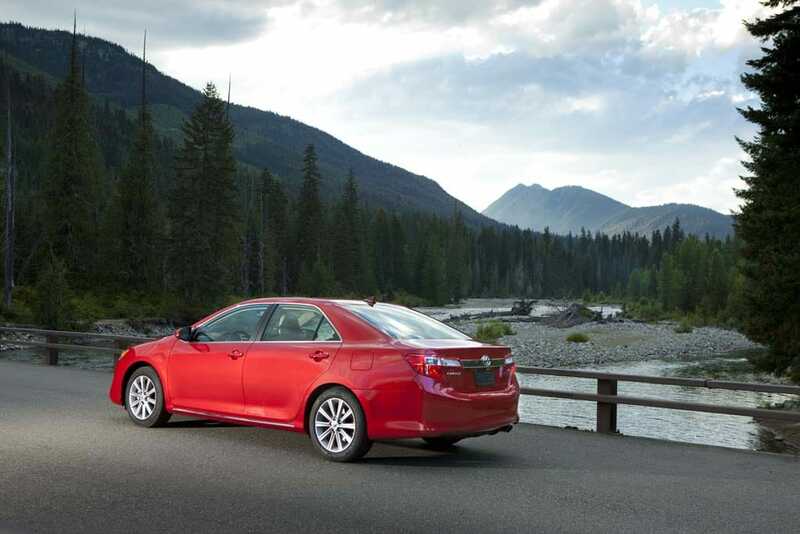 When evaluating a new Camry it helps to understand the basis of its long-running appeal. In the 28 years since the first car wearing that nameplate appeared, Camry has never been a styling trendsetter. Nor has it been the fastest, the best-handling, nor highest-tech product in the midsize segment. In those and other categories it has typically ranked just mid-pack or slightly better. 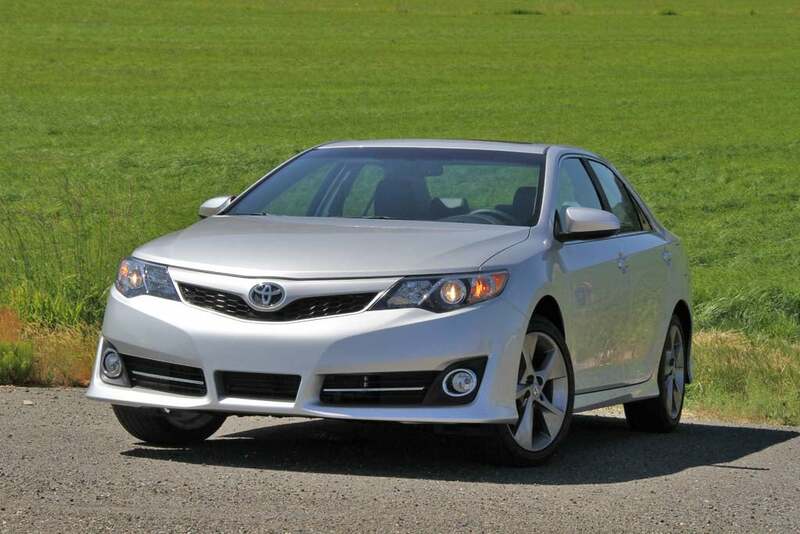 The 2012 Toyota Camry SE gets a 3.5-liter V-6 and a more sporty suspension. But where it has won its loyal fan base can be seen in its routine ranking at the top of the charts that matter to most American motorists: initial quality and long-term reliability, to name two, as well as routinely best-in-class trade-in values. To enthusiasts, the Camry is easy to deride as an appliance, though that understates the emotional ties of those who don’t necessarily get passionate about driving. The Camry SE interior features the new floating IP - and paddle shifters. Is he right? Our initial reaction is that while there are definite improvements in the new car – with some impressive technologies including the new 8-speed automotive gearbox – the new Camry falls well short of revolutionary. The development team played it far too safe in key areas such as design, and the sporty version of the 2012 sedan really doesn’t live up to that definition. 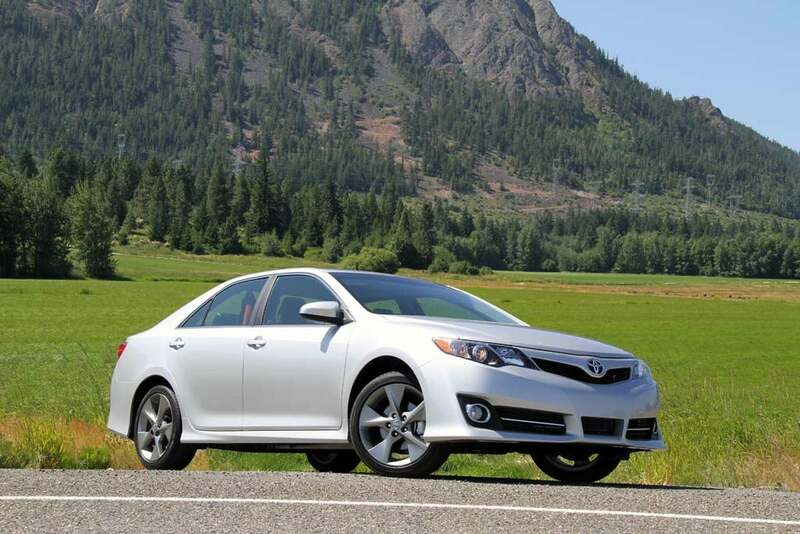 Surprisingly, the 2012 hybrid may be the best pick for those who really want a Camry in their garage. Though Toyota brand chief Bob Carter insists a key goal was “to provide more emotional satisfaction for our consumers,” you’d have a hard time telling that from the design of the 2012 Camry. If anything, the maker seemed to have decided to play it safer than when it launched the outgoing model. The styling is surprisingly bland, though inoffensive, with only a subtle character line to break up the slab-siding. The Camry Hybrid system now yields as much as 43 mpg in the City. The good news is that there are a number of small exterior details, such as the headlamp corners and slight rear spoiler that were reworked to improve aerodynamics – and fuel economy, as we’ll get to shortly. The interior is more visually interesting than the exterior. Toyota adopted a new “floating” instrument panel design with detailed stitching you’d expect to find in a more expensive product. The downside is that the IP doesn’t really integrate into the doors as most of the newest designs do. The layout of gauges and controls is a strong point, Toyota engineers taking pains to make sure drivers don’t have to take their eyes off the road for very long. And unlike some competitors, who have moved too many switches and dials onto their touchscreen monitors, Toyota continues to feature plenty of knobs and switches for the functions motorists use most often. 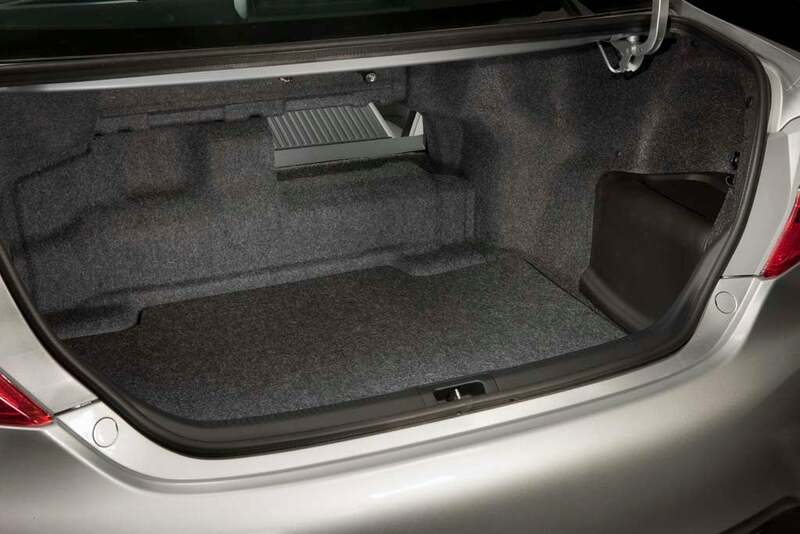 By downsizing key components Toyota carves out an extra 2.5 cubic feet for the Camry Hybrid's trunk. 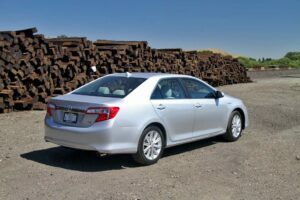 Though the basic exterior dimensions of the 2012 Toyota Camry remain the same, the development team was able to give the car a more spacious feel – rear passengers, in particular, will appreciate getting an extra 2 inches of legroom. For 2012, Toyota is offering three new powertrain choices on the Camry. The base car goes with a 2.5-liter inline-four that makes 178 horsepower and 170 pound-feet of torque. It will likely appeal to those who simply want a high-mileage commuter car with its mileage ratings of 25 mpg City, 35 Highway and 28 Combined, according to the EPA. On the other hand, it’s a relatively gutless engine that clearly isn’t the package Toyota officials talk about when it comes to driving more passion into the 2012 Camry. 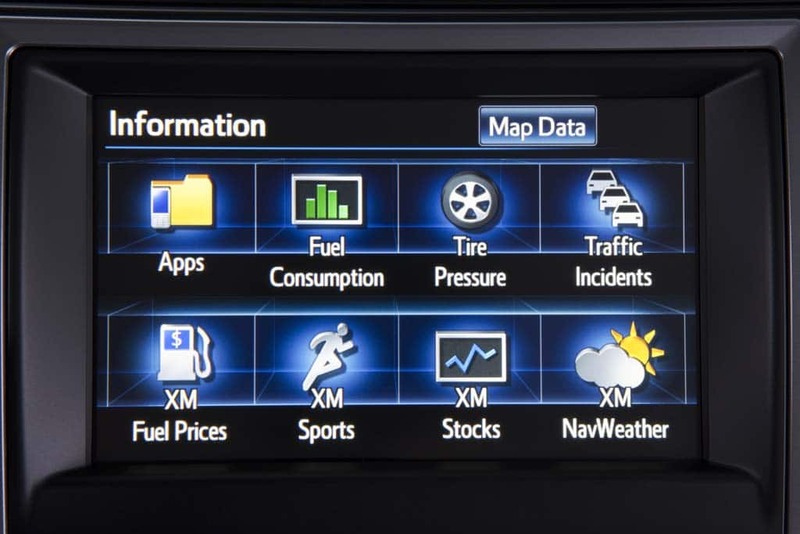 The big 7-inch LCD on the Camry XLE, shown here displaying the new Entune system. That claim puts the spotlight on the 3.5-liter V-6. It’s decidedly more peppy, at 268-hp and 248 lb-ft, without sacrificing all too much fuel economy. The ratings on this powertrain come in at 21/30/25. The first car we took out for a drive was the new SE, which Toyota bills as the sporty offering in the 2012 Camry line-up. It is visually distinguished by such features as a sport mesh grille and rear spoiler, while it also gets High-Response Paddle Shifters for the 6-speed gearbox it otherwise shares with the other standard gas Camry models. Meanwhile the SE adopts a sport-tuned electric power steering system, sport suspension and additional underbody covers. Though all the sheet metal is new, the 2012 Camry shares the old car's platform. The V-6, while reasonably peppy, doesn’t quite yield the level of enthusiastic acceleration Toyota promised. The single most impressive element of the powertrain proved to be the 6-speed automatic. It is absolutely world-class, with smooth, near-instant shifts. And while the suspension did seem to anchor the body down, resulting in very little body roll, the EPS was a disappointment. Road feel was limited, at best, and the SE surprised us with its tendency to push through corners. That was all the more surprising once we got into the hybrid which actually seemed to corner more smoothly, even though it did suffer a bit more body roll. A new face for the 2012 Camry. The gas-electric powertrain has undergone extensive updating for 2012, key systems downsized enough to carve out another 2.5 cubic feet of trunk space – countering a frequent criticism of the old Camry Hybrid. To make it more obvious you are driving a green machine, meanwhile, Toyota has adopted a new hybrid badge that surrounds the maker’s logo in a blue hue. Toyota now accounts for more than half of all hybrids sold each year, so it is hard to diminish the Hybrid Synergy Drive system. In fact, we were pleased to find it more drivable than before. The biggest complaint remains the rubber band effect of the system’s CVT gearbox, which means a perceived disconnect between engine and vehicle speeds. But for those who want to get maximum mileage, the 2012 should be popular – Toyota predicting it will account for about 11% of overall Camry sales. The Toyota Camry SE stayed flat but had a tendency to push in the corners. Mileage, by the way, varies depending on which hybrid model you go for, the LE rated at 43 City, 39 Highway and 41 Combined, the XLE dropping slightly to 41/38/40. The LE will give you as much as 650 miles range between fill-ups. One reason the new car’s mileage is improved across the board is that the 2012 Toyota Camry averages 150 to 200 pounds lighter, depending upon model. Credit more high-strength steel and some creative engineering. The JBL Green Edge Audio system, first shown on the new Prius V hybrid, uses more powerful magnets, among other things, to reduce speaker weight – and power consumption. For those who are motivated by high-tech gadgetry, there’s a 6.1-inch LCD screen for navigation and other systems, a 7-inch upgrade offered on the Camry XLE. Niceties like Bluetooth hands-free calling and USB connectivity are standard across the board. 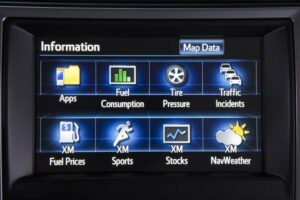 Meanwhile, the new Camry will come with Entune, Toyota’s new infotainment system – which was named best-in-class at the 2011 Consumer Electronics Show, last January. It features an easy-to-use voice control, with redundant controls on the steering wheel. The system links to a variety of smartphone apps, including Pandora Radio and OpenTable, which makes it easy to snag a restaurant reservation. Safety systems include anti-whiplash seats, 10 standard airbags, larger 4-wheel disk brakes and all the brake-based systems, such as electronic stability control, you’d anticipate. Blind Spot Intervention is an option. What it all adds up to is a car that is solid, likely as reliable as ever, and pretty much as bland as before, despite some nice touches like the floating instrument panel. That was driven home when we pulled up to a farmer’s market and parked next to two cars from the prior two generations of Camry. Though we made a point of saying hello to the owners, all but spreading across the hood of the 2012, they didn’t even notice ours was an all-new car. Colleagues say they experienced a similar non-reaction. 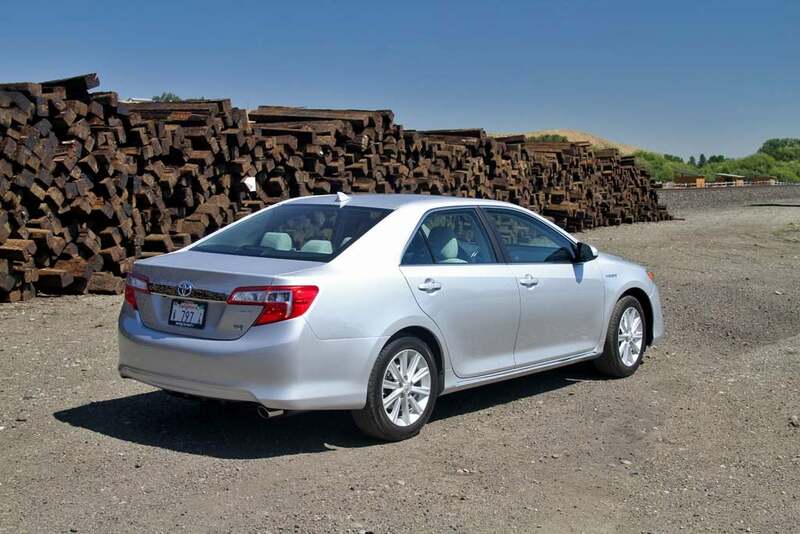 With the 2012 Camry Toyota has done a much better job than Honda did with the all-new 2012 Civic. But that’s damning with faint praise. Toyota promised a revolution. It’s delivering an evolution, and only a modest one, at that.